Using a tripod is the single most important tip on macro photography you'll get from reading this post. Can you shoot macro without a tripod? Yes, I did in the photo below, but you're limited to shooting very bright conditions or using flash to light up your subject. Usually macro photography involves smaller lens openings (high f/stop numbers) and longer exposures so you get enough light for a good exposure. Any movement of the camera is exaggerated when you're shooting at close distances under magnification. You need your camera to be completely still to prevent getting a blurry photo. Some close-up photography can be very abstract in nature because of the extremely shallow depth of field. This close up photograph was shot at f/11 which is a pretty small aperture. Despite this, you can see that surrounding petals are out of focus and isolate the flower's central tube called the stigma. I could not use a tripod when I photographed the butterflies and various other flying insects that were hopping form flower to flower on our butterfly bush. I jacked up the ISO to 1600 so that I could get a high shutter speed and a small aperture while shooting in direct bright sunlight. This is not my favorite lighting, but it was the only way to get motion and focus sharpness with these very busy insects. All of these macro photos were taken with a 31 mm OPTEKA extension tube which gave me a focusing distance of only a few inches from my rapidly moving subjects. These two close up photos of this purple flowering grass are great examples of how your choice of aperture affects depth of field. I place a large piece of white foam core to block the direct sunlight and create a soft morning light effect. 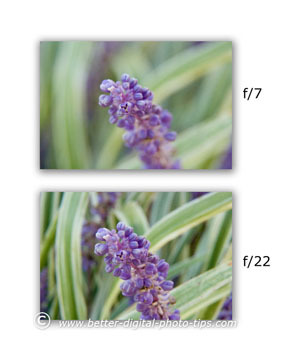 Notice how the close up photo shot at an aperture of f/7 has a less distracting background than the f/22 shot. One of the other tips for taking digital photography that I've shared in many photography articles is to try several variations of the same photo. This is a good macro photography tip too. Try using a large aperture for shallow depth of field first. Then take the same photo using a small aperture for a larger range of things in focus in your image. Remember this change in f-stop will require a change in shutter speed or ISO setting to get the same exposure. For more on that topic, visit Photo Exposure. You are a beginner at macro photography and you want to keep things simple. That includes your macro photography lighting as well. Photography is really "painting with light" and just like portrait photography, lighting can make or break your macro photograph. Start with natural lighting. Sure, you can use your pop-up flash or attach a flashgun and blast your subject with light for good sharpness, but your photos will come out contrasty with harsh shadows. For outside photos of flowers and bugs, go for bright conditions on days that are slightly overcast. The light is bright but still diffused and you'll get good exposures with softer shadows. I've explored some other web sites discussing macro photography lighting tips and some of the advice is really bad. It is definitely a subjective topic and I am not the Macro Lighting Master of The World. Usually blasting your subject directly with a harsh direct electronic flash is not an attractive way to light your photo. If you do want to dive into macro photography with flash, use a simple diffusion panel with one of these two macro lighting techniques. 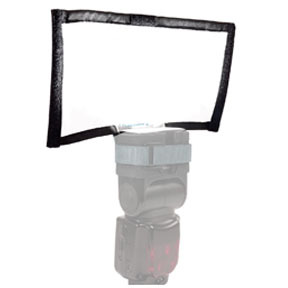 Although they are real handy to use, you don't have to buy one of the two of the macro lighting flash modifiers below. Any comparable material will do, but these two examples are very easy to use. You can aim your flash through any type of diffusion material to scatter the light and soften the shadows. 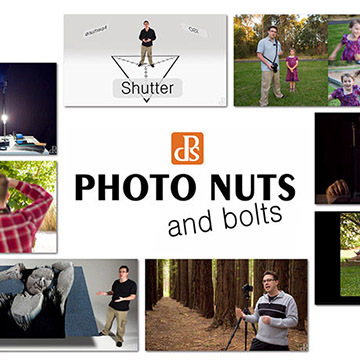 You can handhold it, get models that attach to your flash, or attach to a bracket that will hold it for you. You can bounce the light from your flash off of any type of reflective material to scatter the light and soften the shadows. 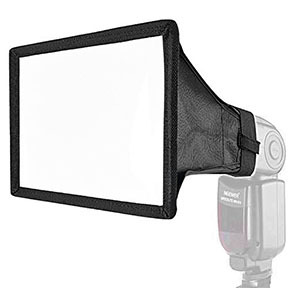 You can handhold it, get models that attach directly to your flash, or attach the reflector to a bracket that will hold it for you. Although you can just go out exploring and hope to find a good close-up subject, you'll find yourself getting more winning shots by doing a little planning ahead of time. I confess, I do both. If I've seen or imagined a particular type of close-up I want to create, then I'll actually use my idea journal to jot down things I need to consider. 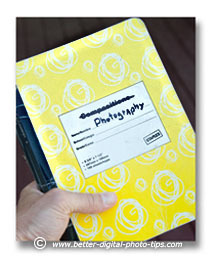 Keeping a photography journal can be very useful to you in several ways. When I say "journal" you might think of a place to record events that have already happened. That is definitely one useful thing to do. 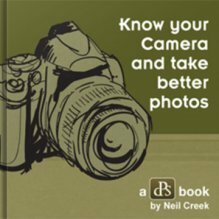 Keep track of the photos you have taken, as well as maybe some observations about lighting conditions or other details. 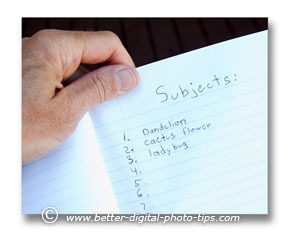 These notes can be great to have when you are evaluating and editing your photos after your photography session. You can learn a lot when you review your mistakes as well as your triumphs. One of my photography professors required us to use a photography journal. We were required to not only list items such as equipment, background, location, and lighting, but also sketch out the photo ahead of time. Initially at the time I didn't like it. I thought it was a waste of time, but boy was I mistaken. That planning and pre-visualizing habit actually helped me get much better results, particularly when we were trying a new type of photography. Using a journal or other type of record planning or recording will really help you learn any new photography technique including macro photography. I still plan photography shoots ahead of time. Sometimes, rather than the journal, I'll go into shortcut mode and have my notes within my calender on my smartphone. That way I know I won't forget to have my notes with me at all times. 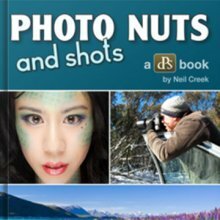 Whatever media you use, written or electronic, try this photography planning technique and see what happens. You may surprise yourself with how effective it is. Relax and pour your favorite beverage. Get comfortable and watch this video to get you a few alternative tips on macro photography from somebody other than me. Improving your macro photography lighting technique is a lifelong process. Explore the other articles with indoor and natural macro photography lighting tips to get some more ideas. 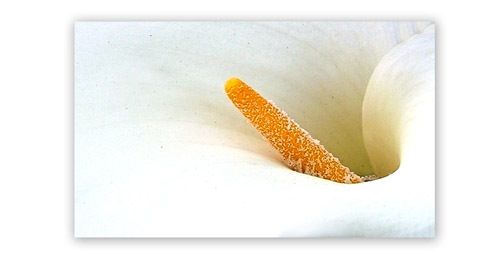 Macro Photography Ideas. Looking for some inspiration on what to photograph? You don't have to limit your macro photography subjects to just insects and bugs. Read this. 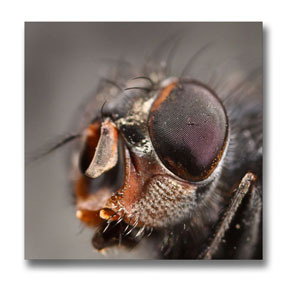 Update: Here are 2 more macro photography tips that I wanted to add along with these two new photographs. Try several different crops when doing your photo editing. In the flower photo below the original un-cropped version had a very dark background. While it did give great separation, I felt it was a distraction. I cropped it tighter and simplified the photograph to make it more elegant. Update #2: Try going abstract. Abstract Macro Photography is a fun segment to explore. Although the photo below is identifiable as a flower, it has a surreal kind of feel to it because of the wide-angle lens used and the resulting spatial distortion. There is another interesting macro photography technique using electronic flash for lighting that is pretty easy to set up and can be a lot of fun to play around with. This detailed video gives tips on macro photography of water drops. If the video above doesn't work, let me know at photo-tipman@better-digital-photo-tips.com and I'll fix it. Thanks! If you've picked up any macro photography tips you think someone else would enjoy, pass them on. Use one of the Share this page links below. Or another way to share, you can simple copy all of the html code in the box below and paste it to your site or blog. Your readers will stay on your site, because the link will open up in a new browser window. 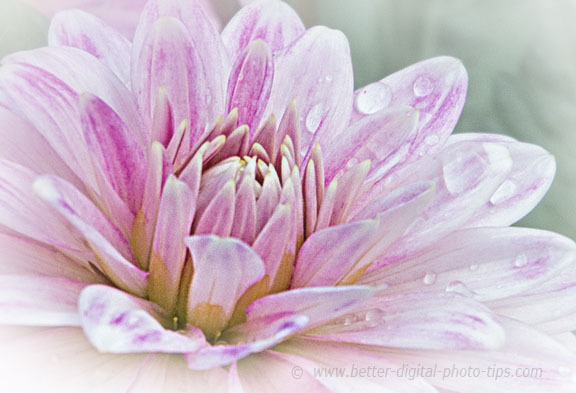 Macro Photography Tips. Basic tips with dozens of links to other articles on more specific macro photography lighting and equipment tips. You will be giving your readers or friend valuable information. Remember it is okay to link to this macro photography tips page, but it is not okay to copy it. 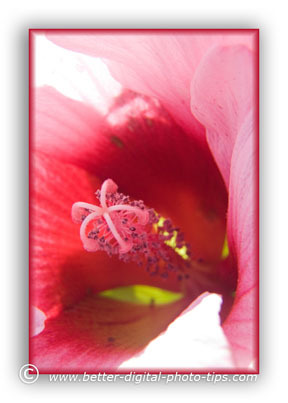 When I photographed this Hibiscus flower, I used a tripod but the biggest challenge was waiting for a still moment when the wind wasn't blowing.